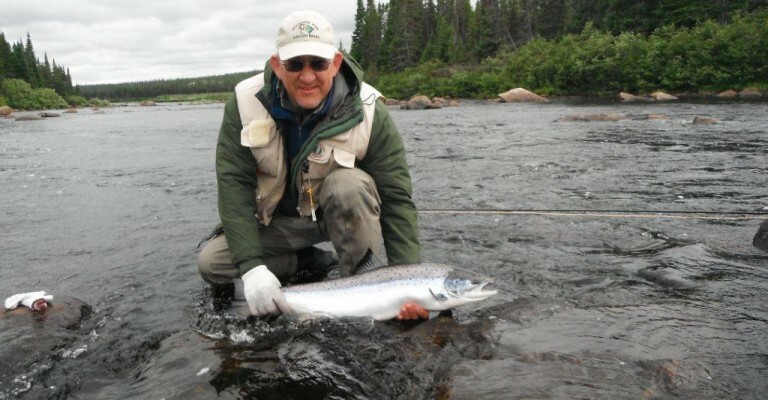 Whether you’re a novice or seasoned angler, you’ll find many opportunities for some great wet and dry fly fishing on both rivers, the Northwest Feeder and the Hawke River. Each day, you will travel from the main camp by boat to your respective beat and from there; travel up and down the river at your own free will. When hunger strikes, you can return to the main camp for lunch or “rough it” and have lunch on the river. Send us an email or give us a call if you’d like to ask questions or talk about the experience we provide.